We have several sizes available and they include a nice backpack/ roller travel bag, pump, three piece adjustable paddle, fins, and repair kit. These are brand new, durable and stiff double layer PVC construction boards and come with a 1 year warranty. 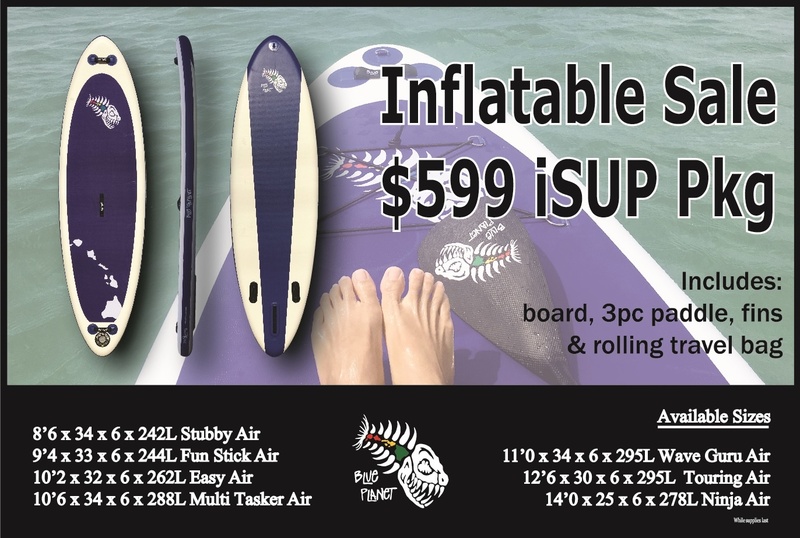 I’m interested in the inflatable SUP pack that you have on sale. I only weigh 50kgs. What size do you recommend & do you ship to Australia?